Golfer Rory McIlroy became one of the most high-profile sports stars to opt out of the Rio de Janeiro Olympics because of concerns about the Zika virus, saying Wednesday it is "a risk I am unwilling to take." "After speaking with those closest to me, I've come to realize that my health and my family's health comes before anything else," the four-time major winner said in a statement released by his management company. The fourth-ranked McIlroy was scheduled to play for Ireland as golf makes its return to the Olympics for the first time since 1904. 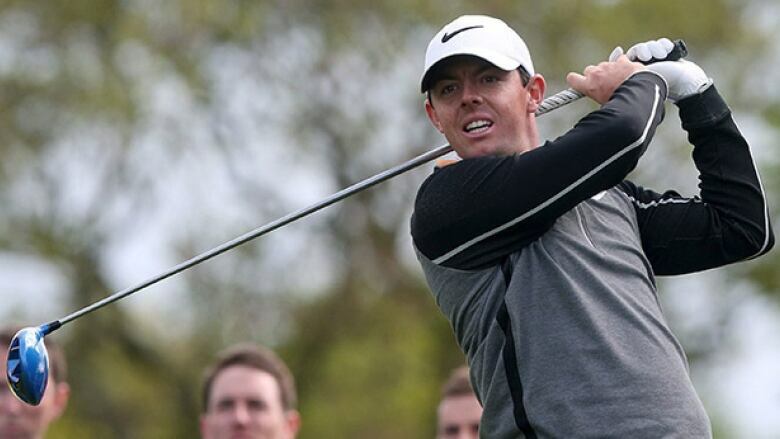 The Olympic Council of Ireland (OCI) said it was "extremely disappointed" not to have McIlroy on its team. "However, as we have always said, it is down to the individual and of course we respect his decision, which he has taken for personal reasons," the OCI said in a statement. The 27-year-old McIlroy said this month that he and his fiancee, Erica Stoll, may consider starting a family "in the next couple of years." "Even though the risk of infection from the Zika virus is considered low," McIlroy said, "it is a risk nonetheless and a risk I am unwilling to take." Australian golfer Marc Leishman has already pulled out of the Olympic tournament, citing concerns over the health of his family because of the mosquito-borne virus which is linked to severe birth defects and possible neurological problems in adults. Leishman's wife, Audrey, nearly died last year from toxic shock syndrome. Adam Scott, Louis Oosthuizen, Charl Schwartzel and Vijay Singh have also said they won't compete at Rio, mostly due to scheduling commitments. Last month, 150 health experts issued an open letter to the U.N. health agency calling for the games to be delayed or relocated "in the name of public health." The agency, the World Health Organization, responded that such steps would "not significantly alter the international spread of Zika virus." The OCI said it has been taking its lead on the Zika situation from the International Olympic Committee. "They have provided us with every assurance and we have total confidence that the games will be safe for all athletes," the Dublin-based organization said. McIlroy, who has won three of the four majors in golf, had been eligible to compete for either Britain or Ireland at the Olympics. He eventually chose Ireland, which he had represented throughout his amateur career and twice in the World Cup. "I trust the Irish people will understand my decision," McIlroy said. "The unwavering support I receive every time I compete in a golf tournament at home or abroad means the world to me. "I will continue to endeavour to make my fans and fans of golf proud with my play on the course and my actions off it." The International Golf Federation said it was "disappointed with Rory's decision but recognizes that some players will have to weigh personally a unique set of circumstances as they contemplate their participation in golf's historic return to the Olympic Games in Rio de Janeiro, with the Zika virus foremost among them." It added that "the Olympics is the world's greatest celebration of sport and we remain excited about golf's return after a 112-year absence." The IGF, founded in 1958, is recognized by the IOC as the official world body for golf.